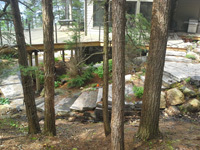 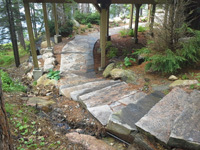 Natural stone landscaping in Parry Sound / Muskoka and the Georgian Bay Area. 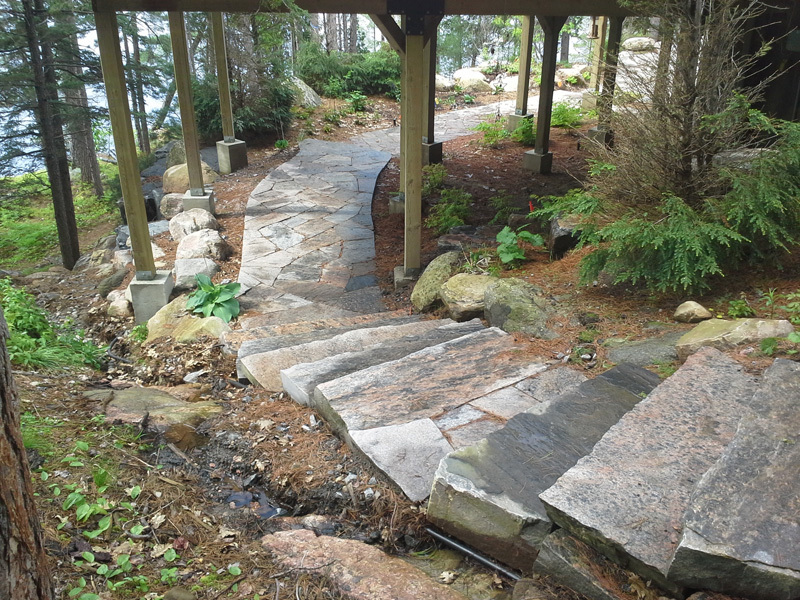 Quality flagstone hand carved and dry laid. 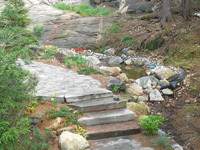 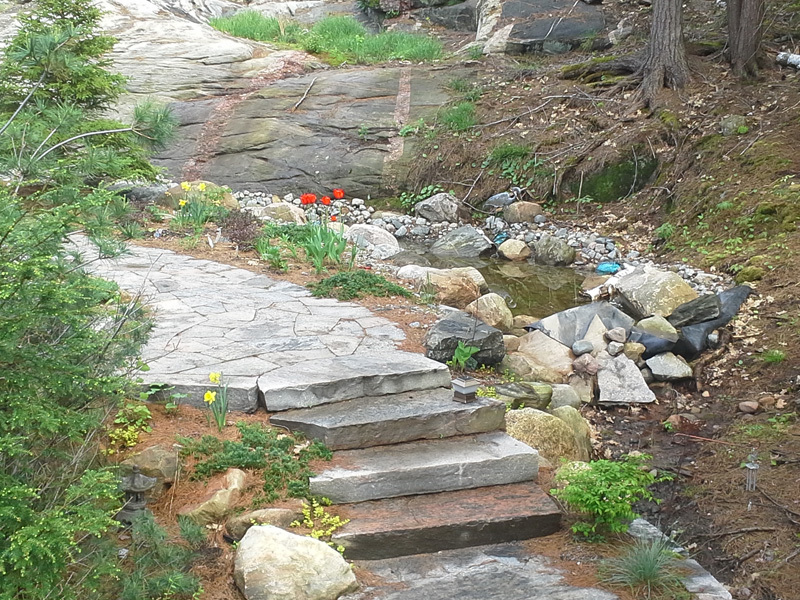 Transform bush into trails down to waters edge with terraced patio's walkways and steps used to turn steep grade cottage lots into fine estates on Lake Muskoka, Joseph, Rosseau, and the Georgian Bay. 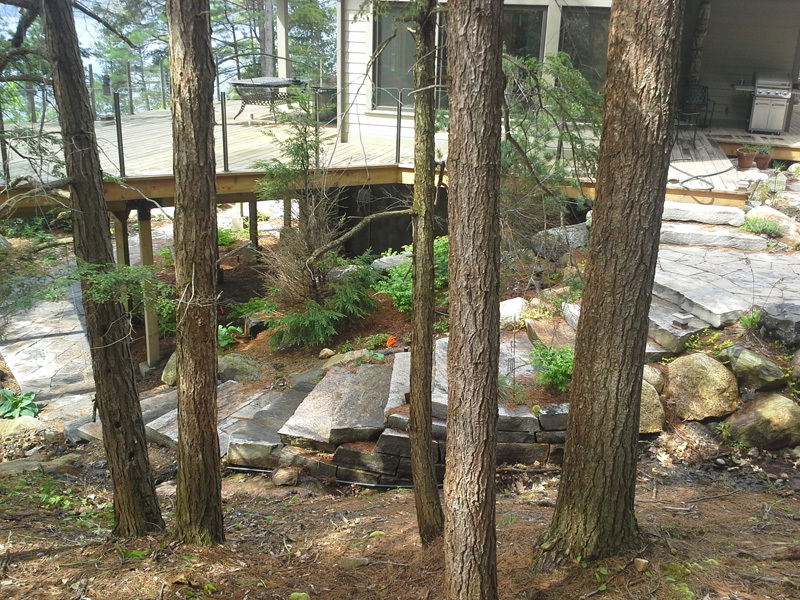 All work guaranteed. 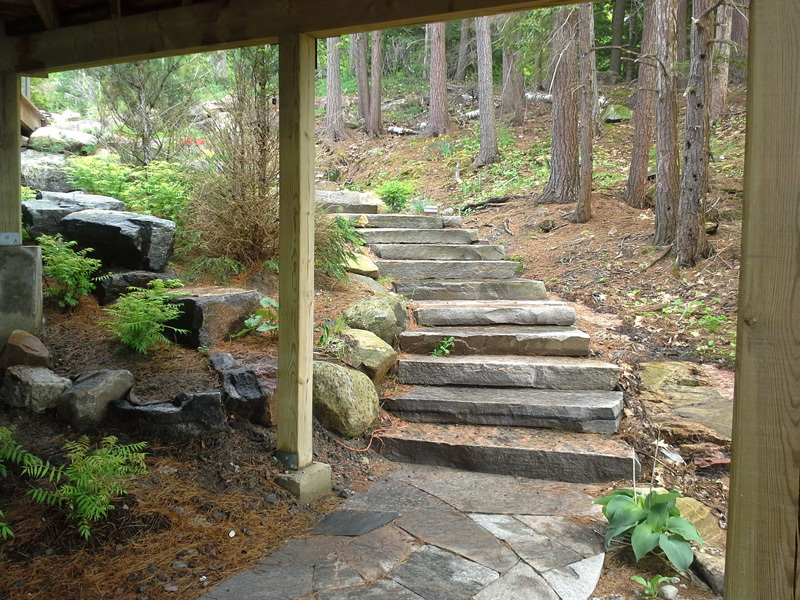 Stone steps in a cool shady area through the gardens.